Book an Aurora Expeditions 'Kimberley Coast Package' before 31 October 2014 and your partner will fly free from any Australian capital city, a saving of $700 per couple. The 15-day package features an Aurora Expeditions 11-day Kimberley Coast voyage between Broome and Darwin aboard 44-passenger Coral Princess, plus return airfares from your nearest Australian capital city, two nights' accommodation and a sightseeing tour in both Broome and Darwin, and airport and port transfers. This great money-saving offer is available on all three of Aurora Expeditions' 2015 Kimberley Coast cruises departing during June and July 2015 – the best time to see the Kimberley's lush waterfalls in all their glory and the arrival time for mating and calving humpback whales. Each expedition is led by Aurora Expeditions' long-standing expedition leader, Mike Cusack, the co-author of Our Year in the Wildness, the inspirational account of 12-months living off the land in a drought-stricken West Kimberley, with his wife, Susan. Exclusive to Aurora Expeditions voyages, Mike offers expeditioners the opportunity to join him on a 10 kilometre trek back to the place where he and Susan spent the challenging year at the Kunmunya Mission. 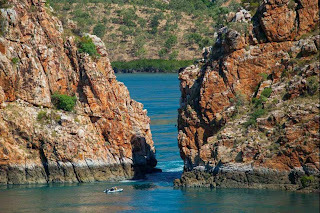 The rock-hopping journey takes you deep into the big and powerful landscape of the Kimberley. The voyage also includes daily shore landings via a specially-designed landing craft, the Explorer, which delivers passengers directly from the ship's deck to shore. Each day you'll explore something new such as the Wandjina and Gwion Gwion rock paintings on Bigge Island, Lacepede Islands' seabird rookeries, or a thrilling Zodiac ride through the Horizontal Waterfalls. Our expert team, including naturalist and Kimberley specialists, will interpret your surroundings as you land ashore and through lively talks on board, whilst our on board crew will wine and dine you each evening as you sit back, relax, and enjoy the Kimberley landscape from the ship's deck and lounge. 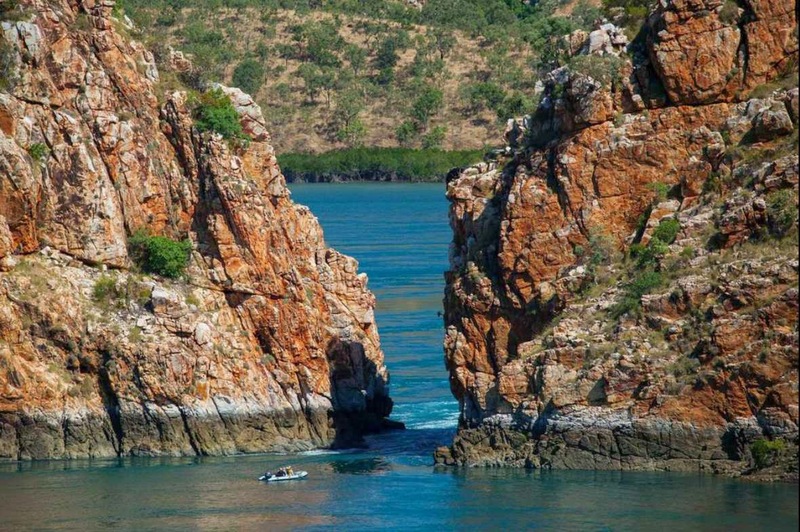 Aurora Expeditions 'Kimberley Coast Package' starts in Broome on 13 June and 4 July 2015 or in Darwin on 24 June 2015. Price (pp, twin share) starts from $9,195 for the first person, the partner price starting at $8,495. Terms and conditions apply. For more information contact Aurora Expeditions on +61 2 9252 1033 or 1800 637 688, or visit www.auroraexpeditions.com.au.